The public-service campaign encourages girls ages 11 to 15 to get involved in science, technology, engineering and math. They are among the women featured in a public-service campaign, which debuted Monday, that encourages girls ages 11 to 15 to get involved in science, technology, engineering and math. The centerpiece of the campaign are videos in which the seven women discuss with girls what they do and what the opportunities are. The professionals are also featured on the campaign’s website, SheCanStem.com, and in individual profiles on Instagram and in more traditional media. 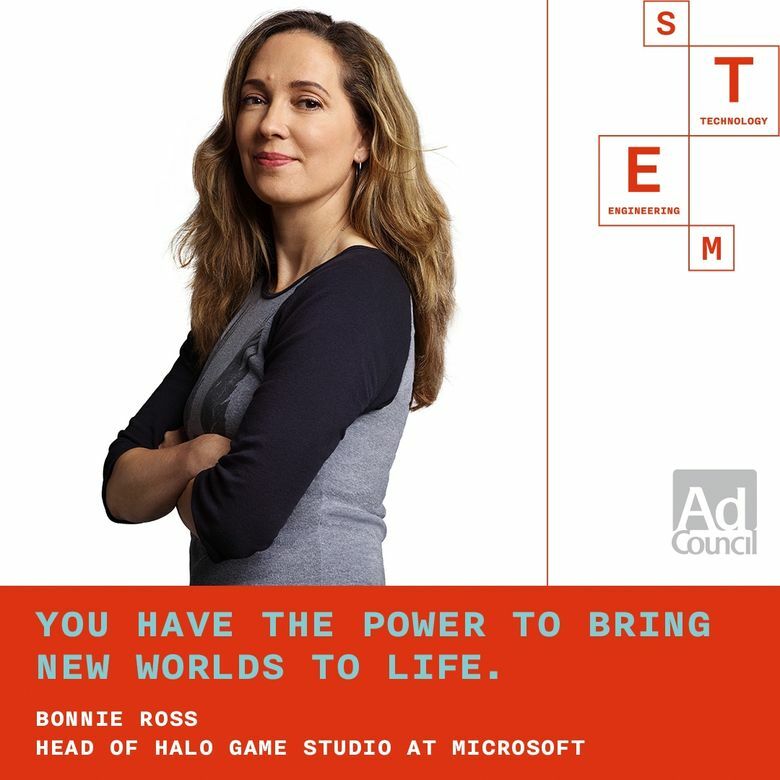 The women featured in the campaign, or their employers, will post photos of them taken when they were girls, with a note that says, “If she can STEM, so can you.” The Ad Council will also encourage women in all STEM fields to do the same. Girls will also be directed to @SheCanSTEM on Instagram, where they can find information on other women working in STEM fields and on resources from the campaign’s partners. Michelle Peluso, senior vice president and chief marketing officer of IBM, pointed to “so much imagery of cool, nerdy Silicon Valley guys in sneakers” in the technology industry. “We want the girls to see all the amazing women in STEM and be inspired,” she said.